Mar 16, 2010 • there goes the neighbourhood..
or, "my construction pit is bigger than your construction pit." 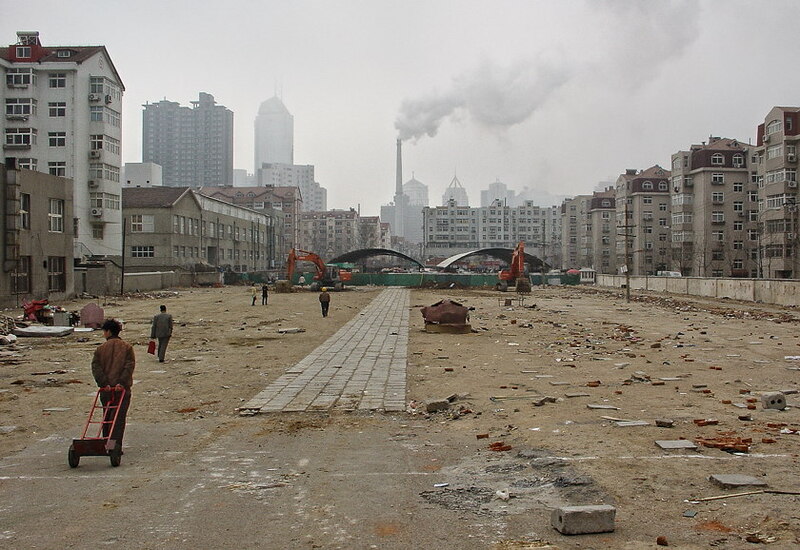 here's one from the archives but worth repeating, for it is certainly one apathetic recurring theme - the rebuilding of china-land. but hey, this is the local version and i expect it to reappear in this blog incessantly. stay tuned. btw, can anyone in QD guess where this is (was)?